Our Bespoke Jewellery Design service is perfect if you’re looking for something truly unique. This is also ideal if you know exactly what you want but can’t find it. Skilled staff talk you through each stage of the process and work with you in creating a piece of jewellery you will treasure forever. After an initial discussion, Cad drawings are created and a 3D model if required. When you’re happy with the design, you can also choose the stones to make sure the cut, colour and size is perfect. See our Diamond buying guide for more information. We source and supply competitively priced certified stones,so you can have them set in a mount of your choice. Many of us have jewellery that is damaged or we don’t wear but keep because of sentimental reasons. In addition to repairing these you can have them made into something else. If you would like to discuss your requirements, bring the item into our store and a member of our team will advise you. To utilise the Diamond from her solitaire ring. 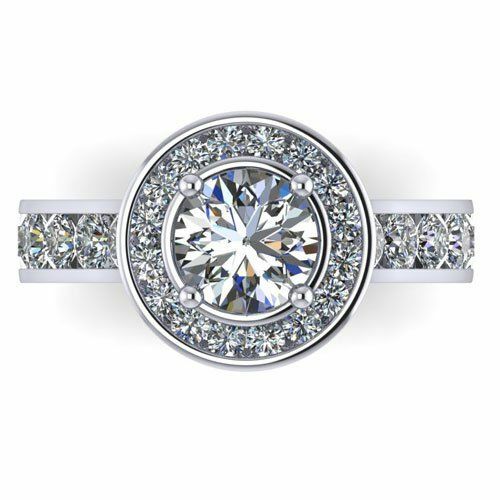 To incorporate the design of her channel set eternity ring. After sitting own with our team to discuss all the options a cad drawing was created and then a 3d model of the ring. 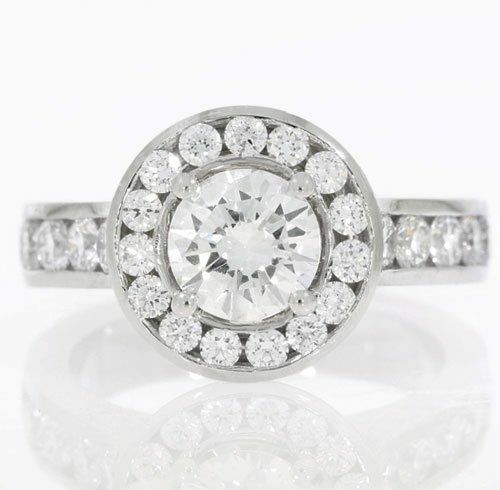 After approval from the customer this impressive Diamond halo ring was made.